dàjiā hǎo,huānyíng láidào Mandarin Corner, wǒ shì Eileen. Hi everyone! Welcome to Mandarin Corner, I am Eileen. Today we will continue to learn business words – part 2.
diǎnjī shìpín xiàfāng de liànjiē qián qù guānkàn. please click the link below and watch it. suǒyǐ méiyǒu bìyào qù xué. so you think there is no need to learn it. nàme zhèxiē cíhuì jiù fēicháng zhòngyào le. shènzhì jīngjì fāngmiàn de huàtí. and even talking about economy. lái bāngzhù nǐ gèng qīngxī、zhǔnquè de biǎodá nǐ de guāndiǎn le. to help you express your opinions more clearly and accurately. suǒyǐ, xiànzài wǒmen jiù kāishǐ ba! 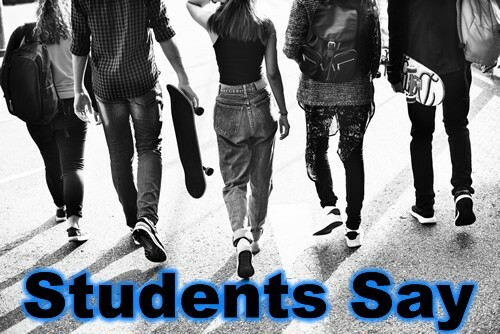 duì o！ wǒ zěnme néng bǎ zhège gěi wàng le ne? Right! How can I forget?! flashcard scàidān shàng xīnzēng leSurvival Chinese xìliè de shǎnkǎ. 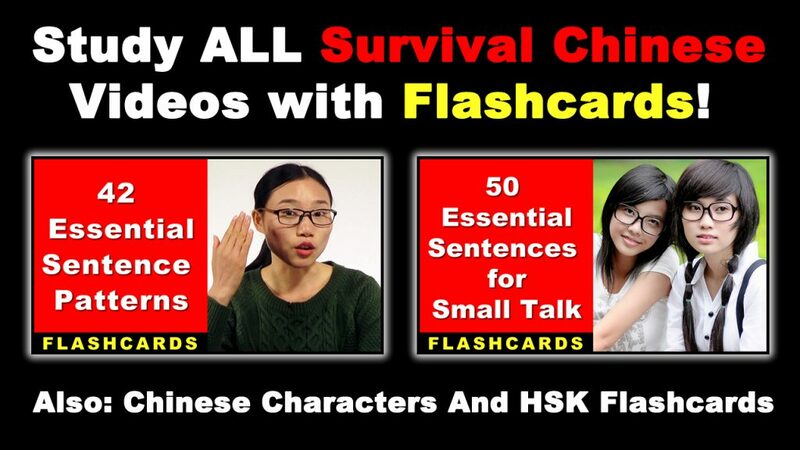 now has flashcards for the Survival Chinese series. bāokuò wǒmen jiēxiàlái yào xué de shāngwù Hànyǔ cíhuì de dì’èr bùfen. including the video we’re going to learn today – Business Words Part 2.
hǎo, xiànzài jiù ràng wǒmen kāishǐ jīntiān de xuéxí ba! Chūnjié qījiān, shāngchǎng lǐ suǒyǒu de diànqì dōu zài dǎzhé. During Spring Festival, all the appliances in the shopping center are on sale. bùhǎoyìsi, wǒmen diàn bù jiǎngjià. Sorry, there is no bargaining allowed in our store. zhè pī huòwù bìxū xiǎoxīn chǔlǐ. This cargo must be handled with care. qǐngwèn fāpiào shénme shíhou kěyǐ jì gěi wǒ? When can you mail me the invoice? wǒ xūyào xiān jiāo yùfùkuǎn ma? rénmínbì de huìlǜ yòu zhǎng le. The RMB exchange rate is up again. gōngsī qùnián de xiāoshòu’é zēngzhǎng le bǎifēnzhī shí. The company’s sales grew 10% last year. tā zhème zuò shì wèile tuīguǎng tā gōngsī de xīn chǎnpǐn. He did it that way in order to promote his company’s new product. bù hǎoyìsi, wǒ wàng dài míngpiàn le. Sorry, I forgot my business card. tā xiǎng zhǎo yī fèn quánzhí gōngzuò. She wants to find a full-time job. tā zhǎo dào le yī fèn fúwùyuán de jiānzhí gōngzuò. He found a part-time job as a waiter. Note: It is used in the context of employees (sales people) and employers. tā de xīnshuǐ bāokuò jīběn gōngzī hé tíchéng. His salary is based on commission and a basic salary. Note: This word is used in many different contexts except to describe an employer-employee relationship. tā cóng měi bǐ jiāoyì zhōng zhuànqǔ bǎifēnzhī shíwǔ de yòngjīn. He gets 15% commission from each deal. qǐng gěi wǒ fā yī fèn nǐ de jiǎnlì. wǒ shēngzhí le! jīnwǎn wǒ qǐng dàjiā chīfàn. I got promoted! Tonight I will treat you all to dinner. tāmen yǒu yī qiān tái diànnǎo cúnfàng zài cāngkù lǐ. They have 1000 computers stored in their warehouse. zhège jízhuāngxiāng de róngliàng shì yī qiān lìfāngmǐ. The volume of this container is 1000 cubic meters. nǐ shénme shíhou néng quèdìng dìngdān? When can you confirm the (purchase) order? shōudào fāpiào hòu, wǒmen huì zài sānshí tiān nèi fùkuǎn. After receiving the invoice, we will pay within 30 days. zhèzhǒng chǎnpǐn shì yòng shénme cáiliào zuò de? nǐmen néng bǎozhèng ànshí jiāohuò ma? rúguǒ wǒmen jīntiān dìnghuò, nǐmen shénme shíhou kěyǐ jiāohuò? If we place an order today, when can you deliver the products? 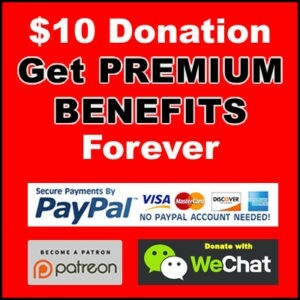 rúguǒ dà pīliàng de dìnghuò, zhè kuǎn chǎnpǐn de dānjià hái néng shǎo ma? If we order in large quantities, can you lower the price a little bit more on this product? bàojiàdān shàng de jiàgé shì lí’àn jiàgé ma? Is the price on the quote FOB? jiāohuò qián sānshí tiān, wǒmen bìxū yào shōudào nǐmen de xìnyòngzhèng. Your letter of credit must reach us 30 days before delivery. tā gǎozá le zhè bǐ jiāoyì. wǒmen xūyào cǎigòu dàliàng de qìchē pèijiàn, qǐng chǎngjiā yǔ wǒmen liánxì. We need to purchase a large number of auto parts, please contact us! We will send out the products early tomorrow morning. zhè jiā diàn zhǐ zuò pīfā shēngyì. This store only does wholesale business. wǒmen de língshòudiàn gānggāng kāiyè le. Our retail store has just opened. wǒmen zhèngzài xúnzhǎo xīn de Zhōngguó gōngyìngshāng. We are looking for a new supplier in China. wǒmen gōngsī de zǒngbù shèzài Měiguó. Our headquarter is located in United States. wǒmen zài quánguó gèdì dōu yǒu fēngōngsī. We have branches all over the country. wǒ de hùzhào zài guò yī gè yuè jiù dàoqī le. My passport expires in a month. wǒ de gōngzuò qiānzhèng mǎshàng jiùyào guòqī le, qǐngwèn zài nǎli kěyǐ xùqiān? My working visa is going to expired. Where can I renew it? Can your company meet all our requirements? qǐng jiāng zuìzhōng bàojià yǐ shūmiàn xíngshì fā gěi wǒ. Please send me your final quote in writing. rúguǒ nǐmen bù mǎshàng chǔlǐ zhège wèntí, wǒ jiù xiàng nǐmen jīnglǐ tóusù. If you don’t deal with this problem soon, I will complain to your manager. nǐmen gōngsī zài wǒmen guójiā yǒu jīngxiāoshāng ma? Does your company have a distributor in my country? zhège jiàgé bāokuò bāozhuāng ma? Does this price include packaging? qǐngwèn nǐmen jīnglǐ de bàngōngshì zài nǎr? Excuse me, where is your manager’s office? zhè pī huò bèi hǎiguān kòuliú le. The shipment was stopped by customs. wǒmen de kùcún kuài méiyǒu le. Our stock is running out. Měiguó zǒngtǒng xuānbù le duì jìnkǒu gāngcái hé lǚ cái zhēngshōu guānshuì. The President of the United States announced tariffs on imports of steel and aluminium. zhè jiā gōngsī zhèngzài shìtú lǒngduàn shìchǎng. This company is trying to monopolize the market. nǐ de diànnǎo shì shénme xínghào de? wǒ yǐqián zài gōngchǎng de liúshuǐxiàn shàng gōngzuò guò. I used to work in a factory assembly line. wǒmen shì zhège pǐnpái de dújiā dàilǐshāng. We are the sole agent for this brand. suǒyǒu de yuángōng dōu yào cānjiā jīntiān de péixùn. All the employees need to attend today’s training. wǒ yǐjīng bǎ qián dǎ dào nǐ de zhànghù le. I have already transferred money into your (bank) account. hǎo, jīntiān de shìpín jiù dào zhèlǐ. bìng yǔ nǐ de hǎoyǒu men fēnxiǎng. yě qǐng liúyán gàosu wǒmen nǐ duì zhège shìpín de kànfǎ. Also, leave us a comment regarding your thoughts about this video.